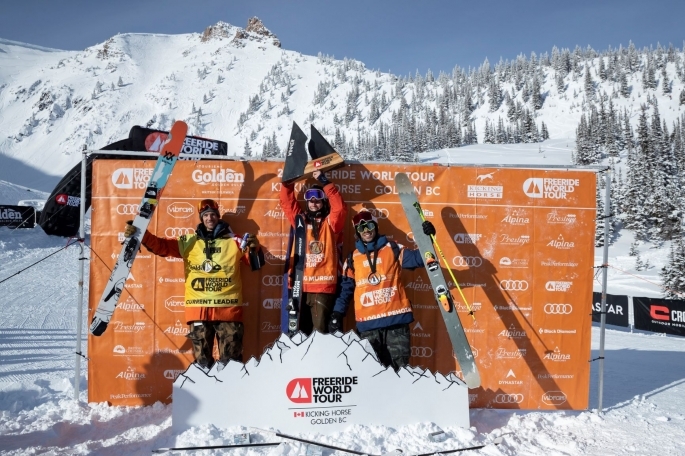 Wanaka’s Craig Murray has claimed gold at the second stop of the 2019 Freeride World Tour in British Columbia, Canada. Murray said after the race, “It was a super cold day here, close to -30 in the morning but the sun came out and luckily most of the day we were in the sun. We’ve had a lot of snow over the past week, so conditions were good and at the top I was excited for my run. “I changed my decision on the line at the last minute and ended up going to the skier’s right. It was a super fun line, I did a couple of tricks that I really enjoy doing and was really happy to land clean. Murray, who at 20 is one of the youngest riders on the tour, had a strong start to the tour when he finished in fifth place at the first competition of the season held in Hakuba, Japan on January 19, wowing judges and spectators with the biggest trick of the day, a huge 720 thrown at the top of the course. The local freeskier took a similar approach to yesterday’s competition in Canada. Making his way to a big drop near the top of the course in order to line up a stylish 360 before flat spinning across the transfer and then heading for a third air. The judges rewarded his creative use of the course with high marks for air and style, scoring him 93 points from a possible 100. Italy’s Markus Eder was second on 92 points and Logan Pehota third on 91 points.